In support of the sangha, participants may choose to practice ‘dana’, meaning, ‘giving’ or ‘generosity’ with gifts of the heart, in the form of a monetary contribution or volunteered service. Your generosity sustains the Dharma Refuge sangha, its center, the larger community, and your own practice. 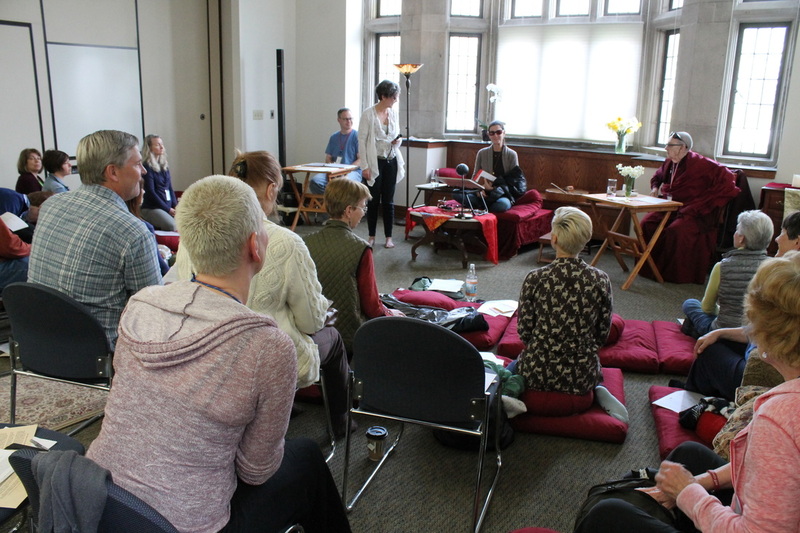 If you feel a connection with the Dharma Refuge sangha and you value our center as a place of refuge and spiritual nourishment, we invite you to become a Member. As a Member you support Dharma Refuge, and it supports you through the simplicity of our shared practice and experience of refuge and renewal. You attend when you’re able, and we join our palms together in the open space of heart and mind. Nothing more is asked. If you wish to make a financial or volunteer contribution, we invite you to become a Sustaining Member. volunteer contributions may be another way for you to participate as a Sustaining Member. To explore this possibility, please email our board president Bob Brown. Read about the benefits and commitments below, and click the link and fill out the membership form. Read about the benefits and levels of participation below, and click the link to learn more and to participate. Choose the affiliation that's right for you. Enjoy weekly practice and special events or retreats. Everyone is welcome as our guest. You feel a part of the Sangha and a commitment to walking this path of wakefulness. You appreciate the supporting conditions Dharma Refuge offers. ​I'd like to become a Member. ​I'd like to become a Sustaining Member. Yes, I'd like to become a Member! Yes, I’d like to become a Sustaining Member! ​Dharma Refuge is a 501(c)(3) nonprofit corporation, and all financial contributions are tax deductible. Contributions are welcome, not required. If you offer a donation at our center and wish to receive an annual receipt for your tax records, please be sure to provide a name and address. All online donations are tracked and receipts are provided electronically.